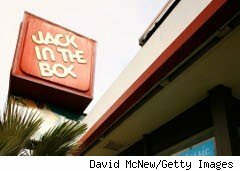 Get not one but TWO free tacos at Jack in the Box on Nov. 16, 2010, after 2 p.m. No purchase necessary and you do not need a coupon to get this deal. One order per person. I'm guessing Jack is trying to drum up afternoon business? Caveats: while supplies last. At participating locations only (call ahead to confirm).